Nollywood news + Naija Gist | Yoruba movies, Naijagist, Nigerian music, Naija news, Nigerian movies: See Okiki Afolayan’s first post after star studded wedding with Abimbola. See Okiki Afolayan’s first post after star studded wedding with Abimbola. 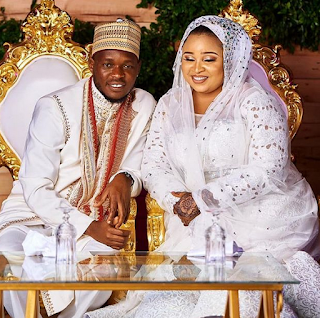 The Nollywood producer, Okiki Afolayan whose wedding to popular actress Abimbola Ogunowo was the talk of the town and currently on Honeymoon wrote a Thank You message. See below..
SAYING THANK YOU WONT BE ENOUGH FOR ALL YOU HAVE DONE FOR US FOR THE PAST 1WEEK . YESTERDAY MY WIFE &I FELT SO LOVED FROM EVERYPART OF THE WORLD. The love from both families was overwhelming,our marketers,collegues,the groom and the bride friends were magical,our godmums and godfathers we cant thank you enough. We are still coming back to thank everyone till then God bless you all.